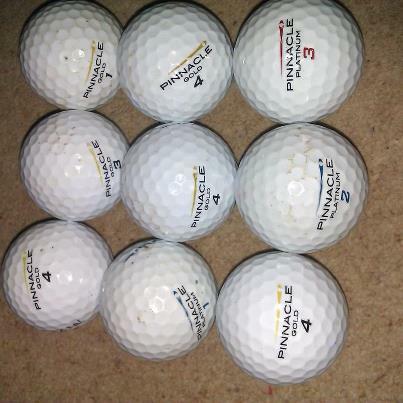 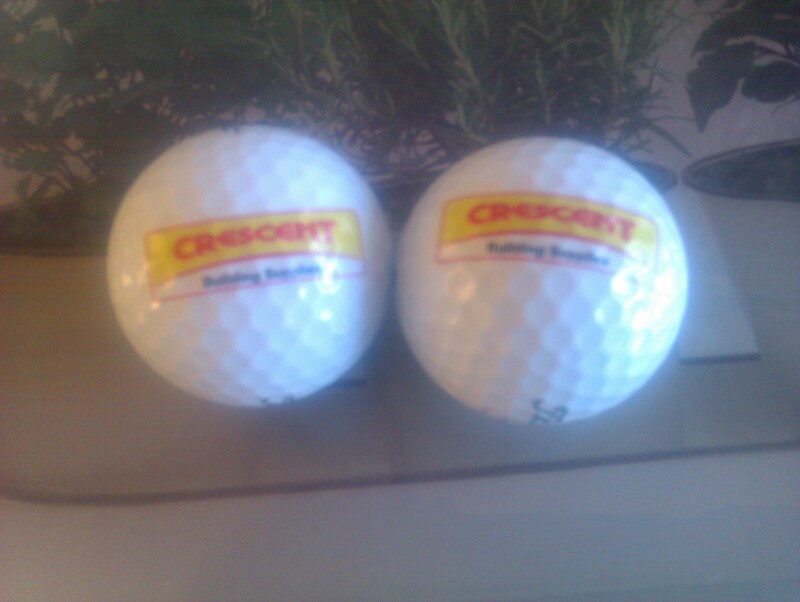 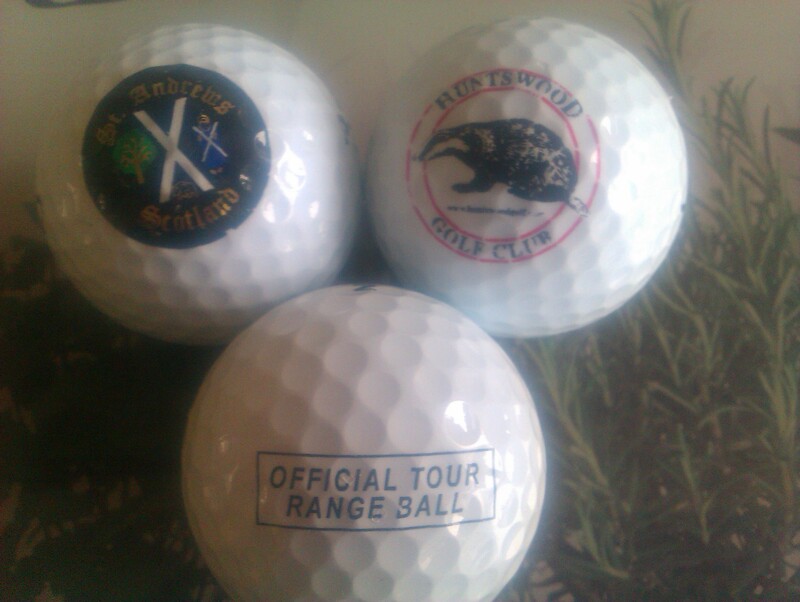 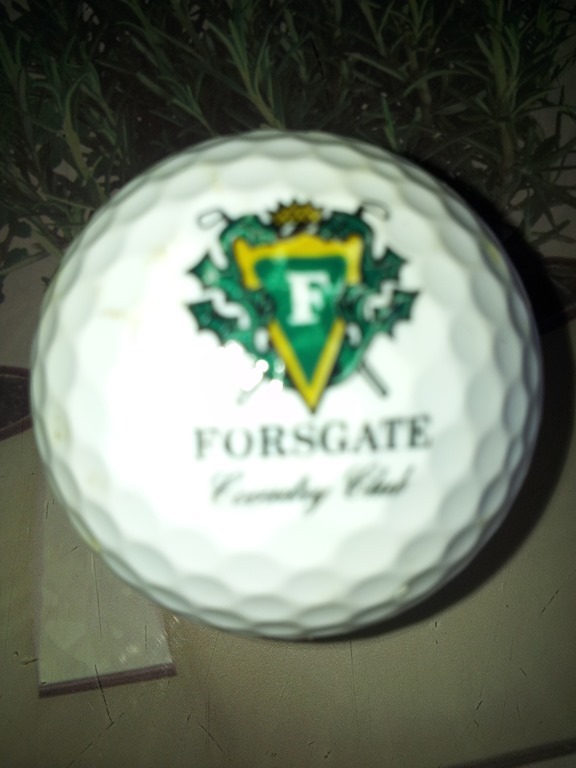 Some interesting logo golf balls today. 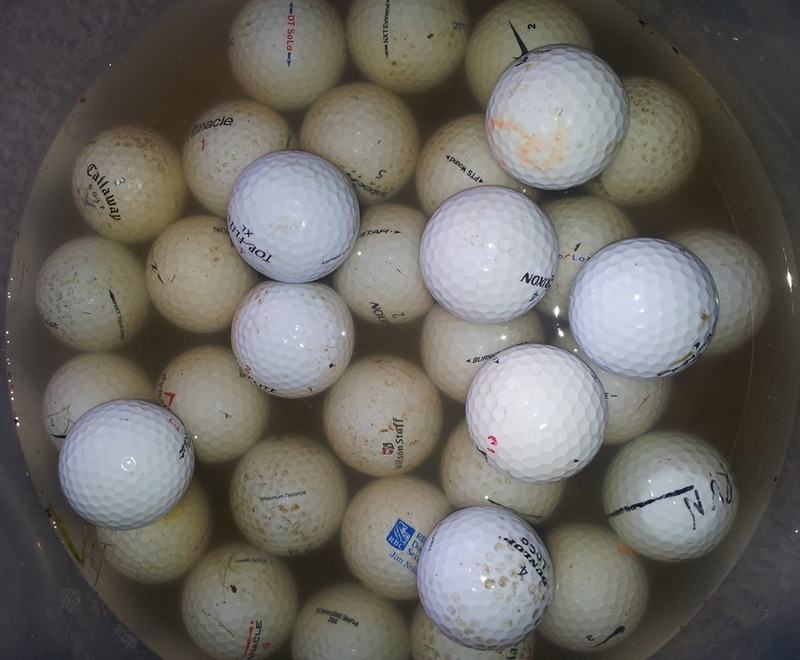 On our travels we had another good afternoon with a return of 43 balls, not all were good enough to keep and have been discarded to the rubbish bin but with a few nice Pro V Balls it was a good walk. 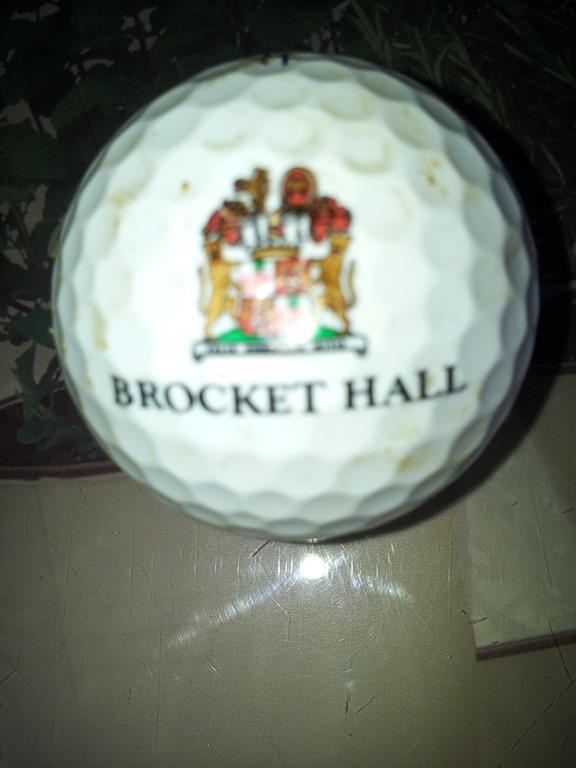 From the estate of the famous spender Lord Brocket the man with no lining in his pockets an endless amount of wealth. 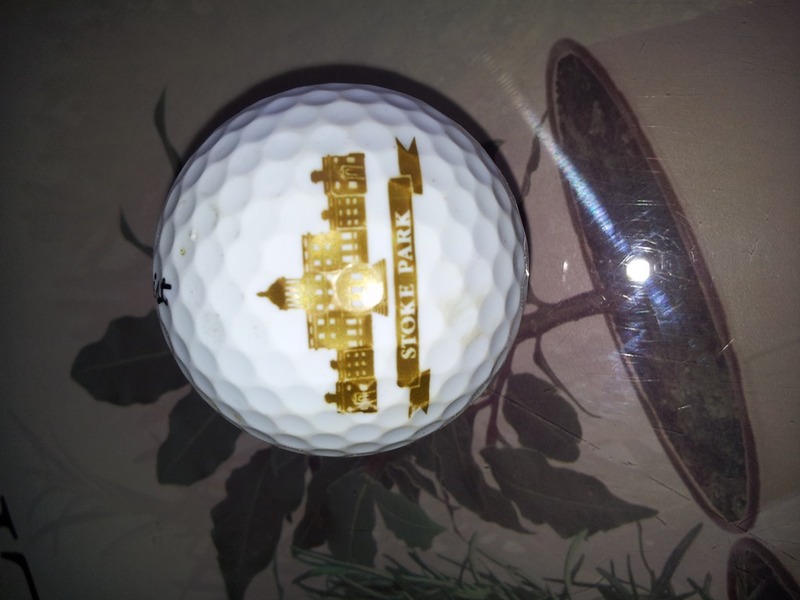 And this from the lovely Stoke Park Hotel which was the setting for quite a few film locations, if you ever have the chance to visit grab the opportunity and enjoy the grounds and its marvellous settings. 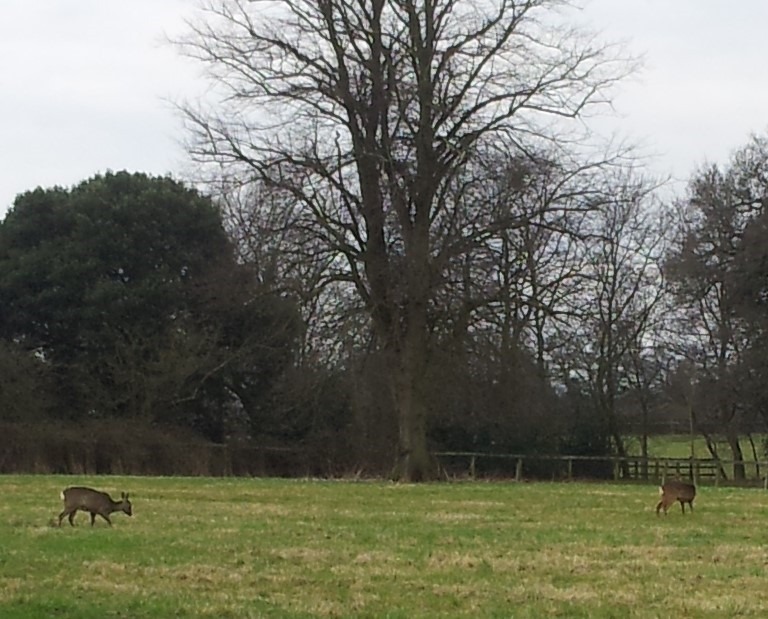 Young Deer back in the field / Red Kite Feast ! 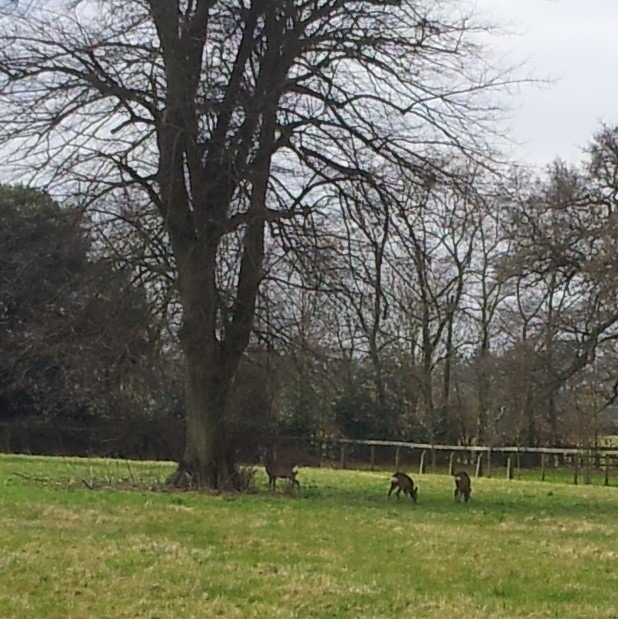 What a total surprise to see 3 young deer in the field this morning, have not seen these young beauties before and guess they have left the herd that are quite happy in the woodland about 1 mile from here, i just hope that they will stay around for the summer. 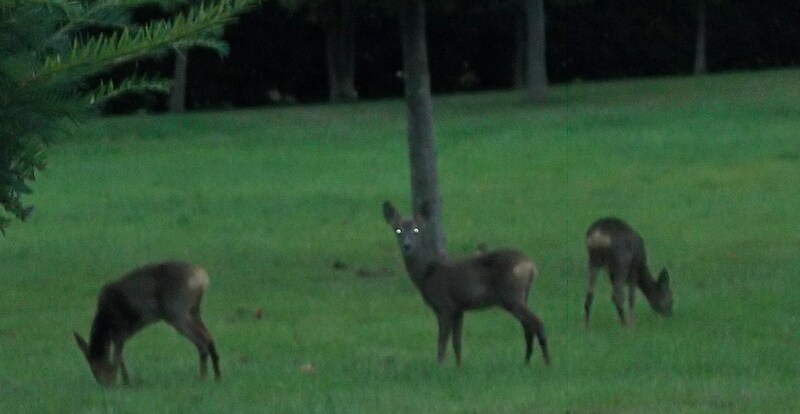 There is a young male amongst them who is just growing antlers and looks very much like Thomas from last year, but i am pleased to say Thomas is doing very well roaming the fields of the national trust very close to me, hopefully if they stay then i will get closer to them and give them all name’s so let us see what happens, i am just delighted that we have them here where they are safe. 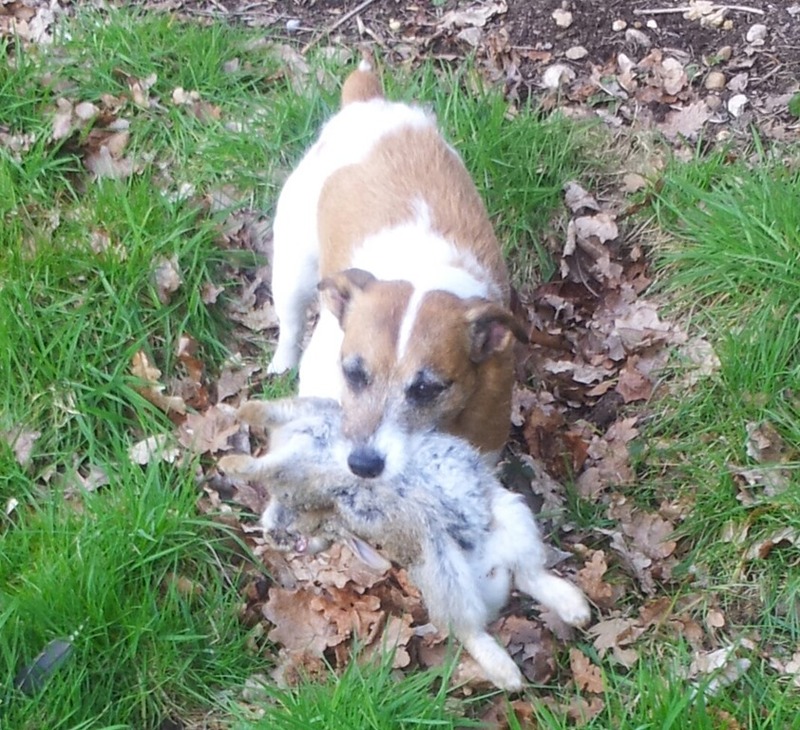 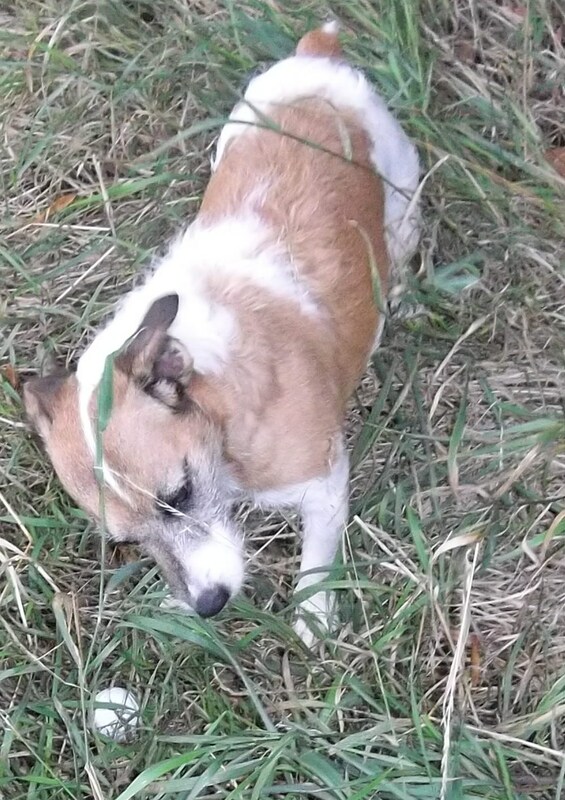 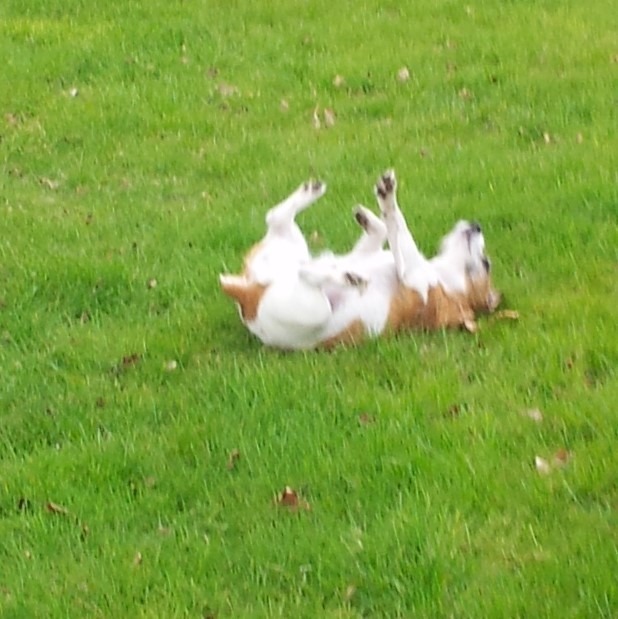 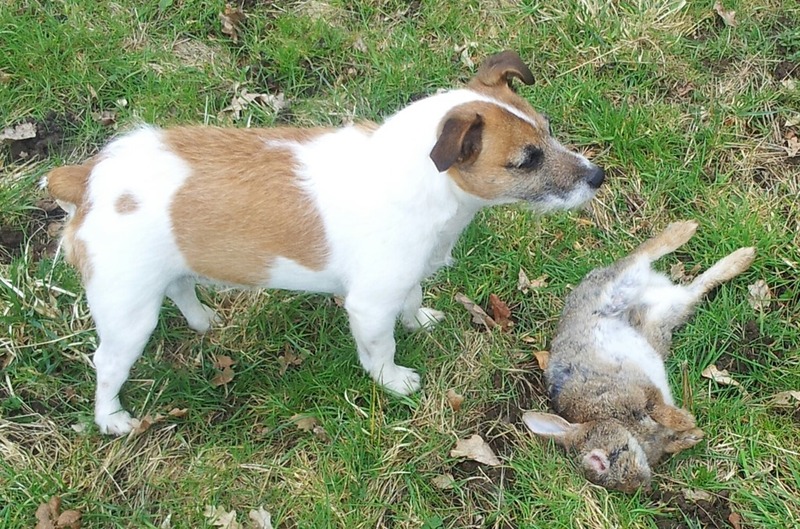 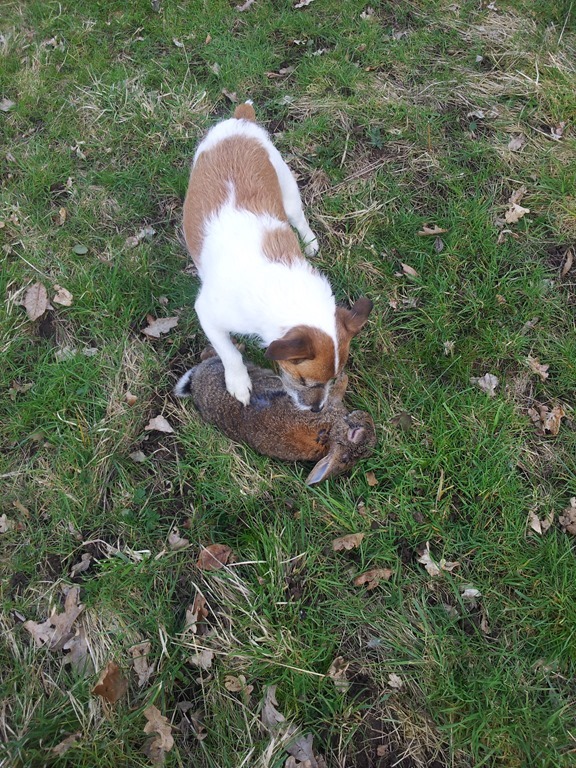 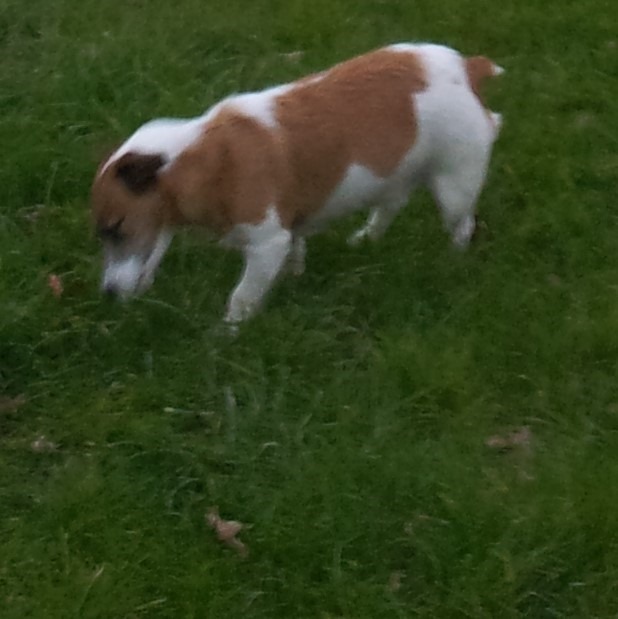 Tilly was up to her tricks of catching bugs bunny the last couple of days, not 1 but 2 were laid to rest due to them both having the dreadful mixi disease which leaves them hopelessly blind and not capable of doing anything other than suffer. 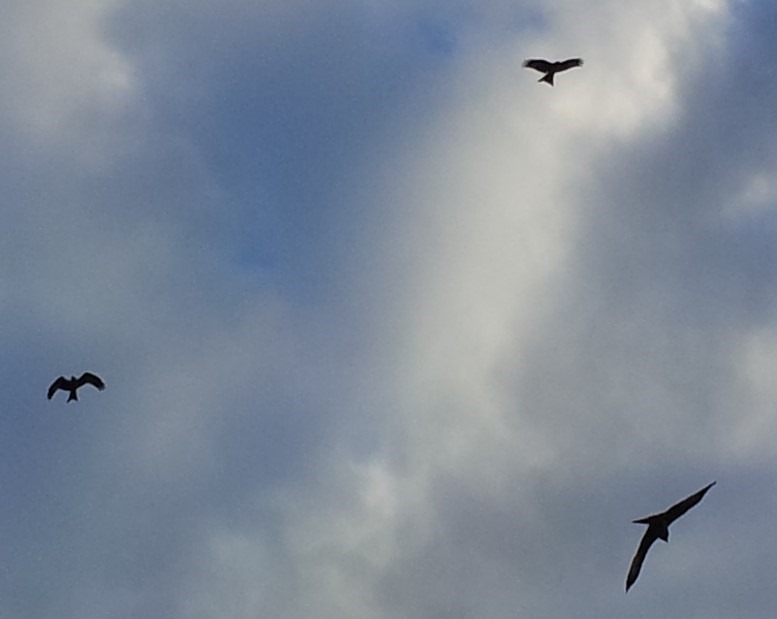 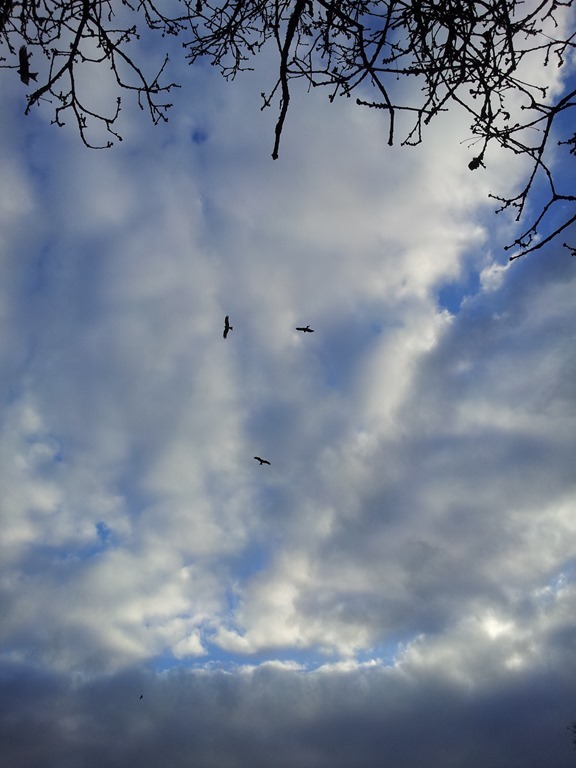 After leaving the bunnies to rest in the field i was amazed to look in the sky and to see us surrounded by red kite’s hovering above, in total 7 of these lovely birds were ready to feast on our furry friend. 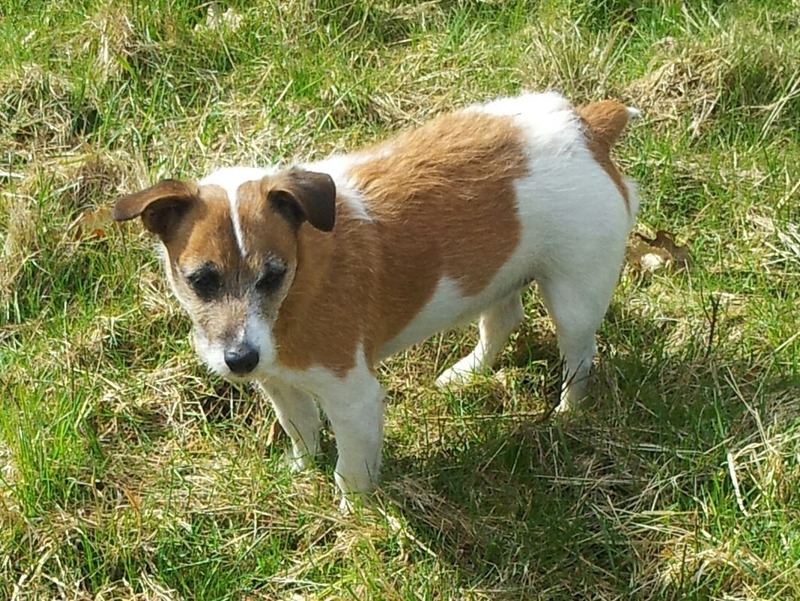 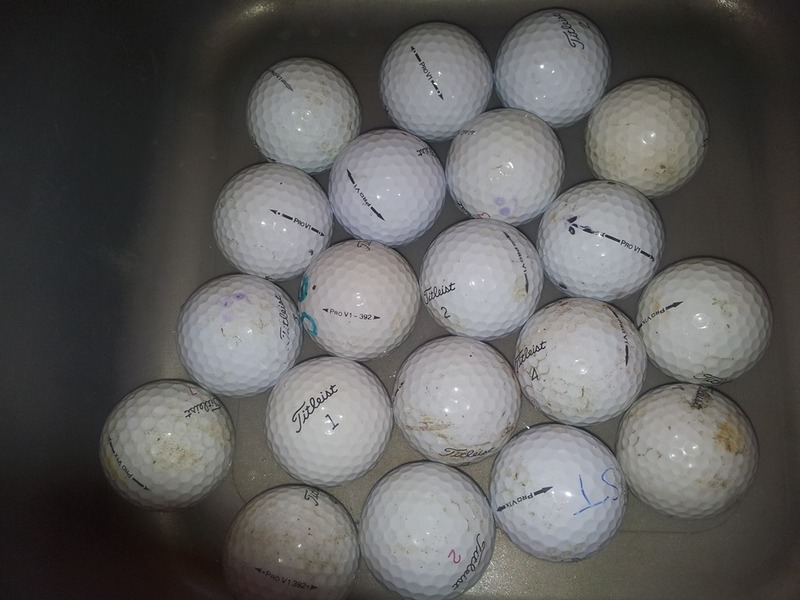 Tilly has been in good form and despite everything that has been a distraction she is still pulling golf balls from the thorn bushes and our collection is underway again after clearing 2200 balls to an online golfing shop. 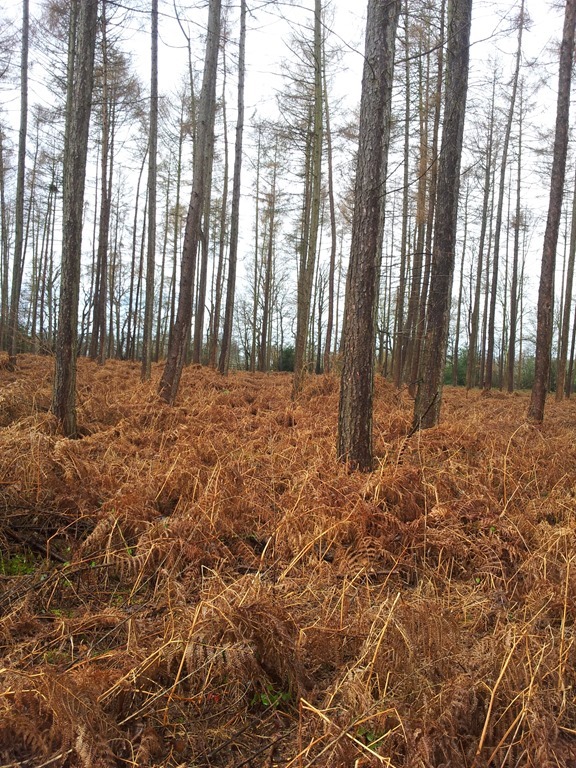 Going back to the woods now…. 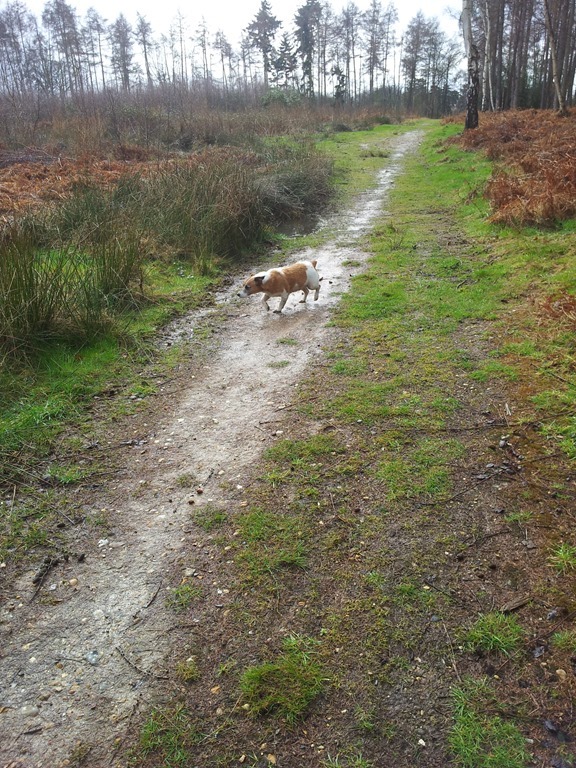 My apologies for no recent posts of late as i had to spend time in Germany which also involved a trip to France, but back home now and back to the woodlands for peace of mind and the freedom myself and Tilly yearn for. 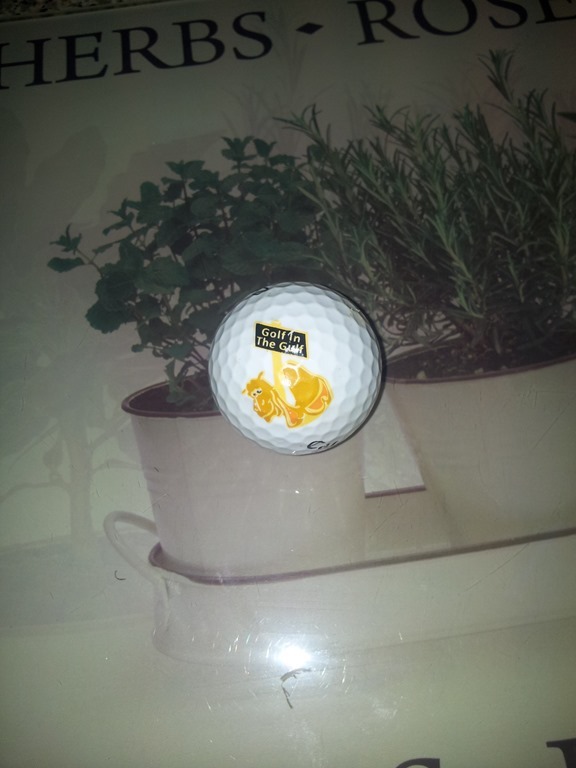 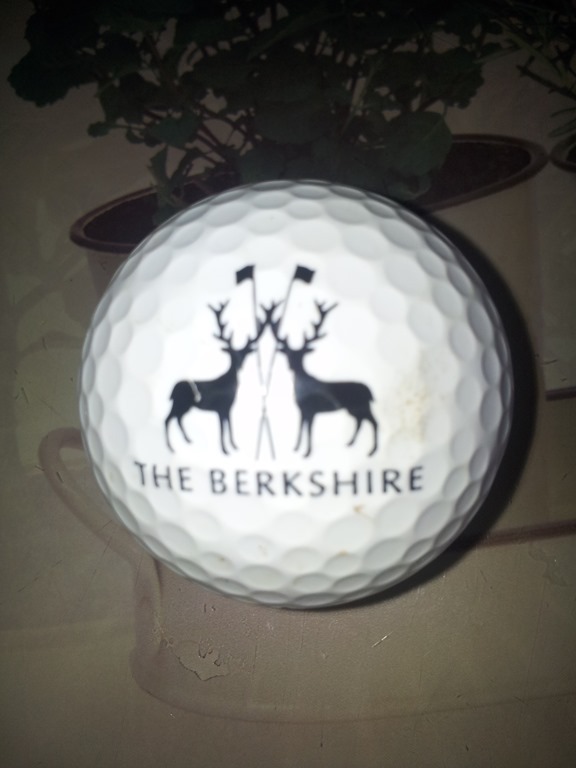 with some nice logo balls from various companies and courses including this nice ball from The Berkshire club. 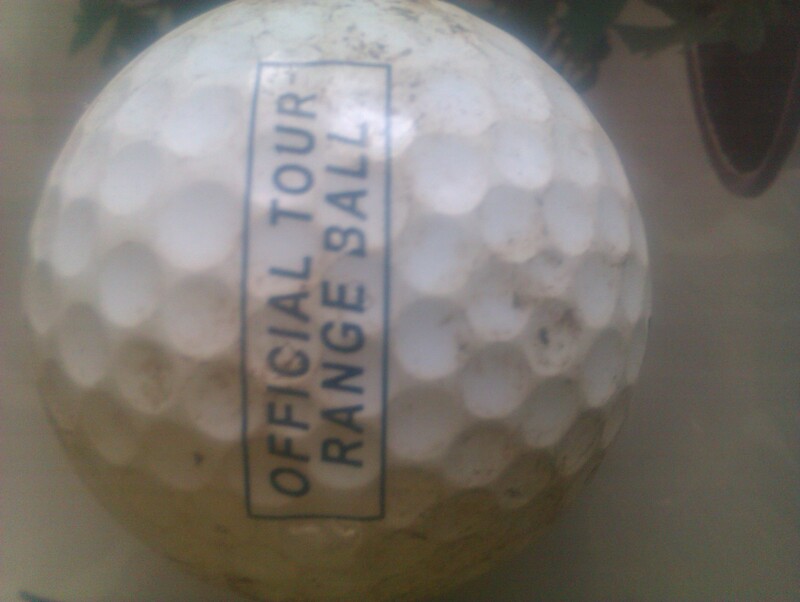 We find them in filthy condition and as you see there is even growth on this ball which is better than some we collect, some have horse muck and cow dung but a ball is a ball and if we see it we will have it. 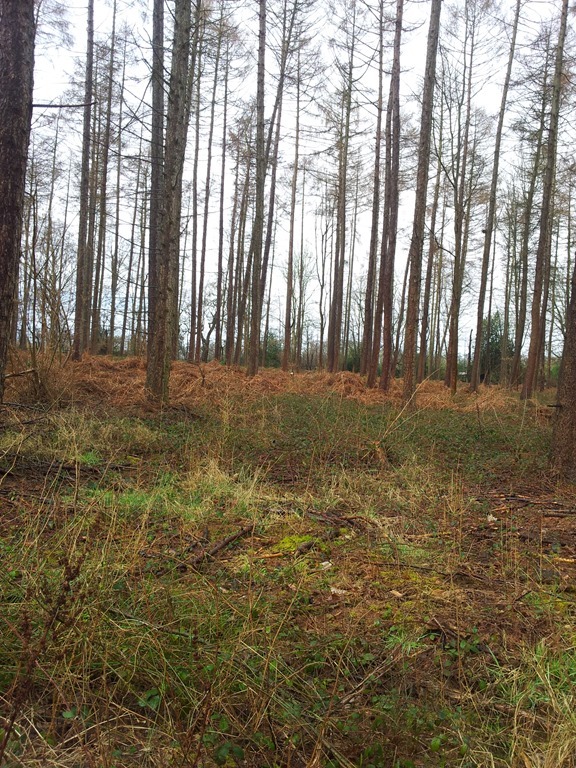 Things are changing in the woodland with new trees and chutes growing the arrival of more deer, we now have 9 in the wood along with recent arrival of pheasant and partridge that have not been there for years, so hopefully things look good on the wildlife side. 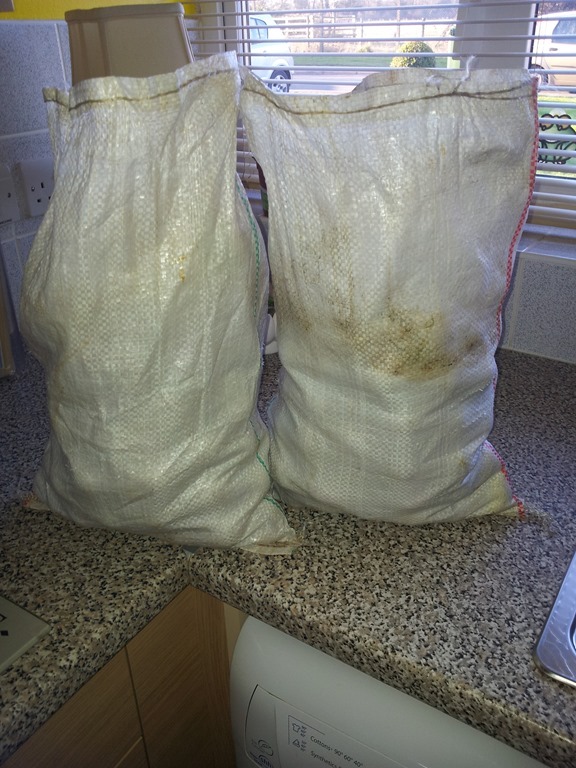 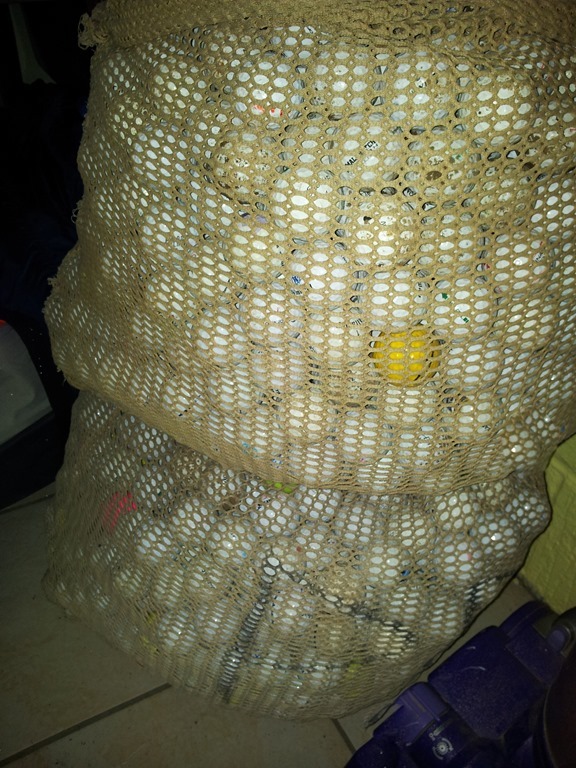 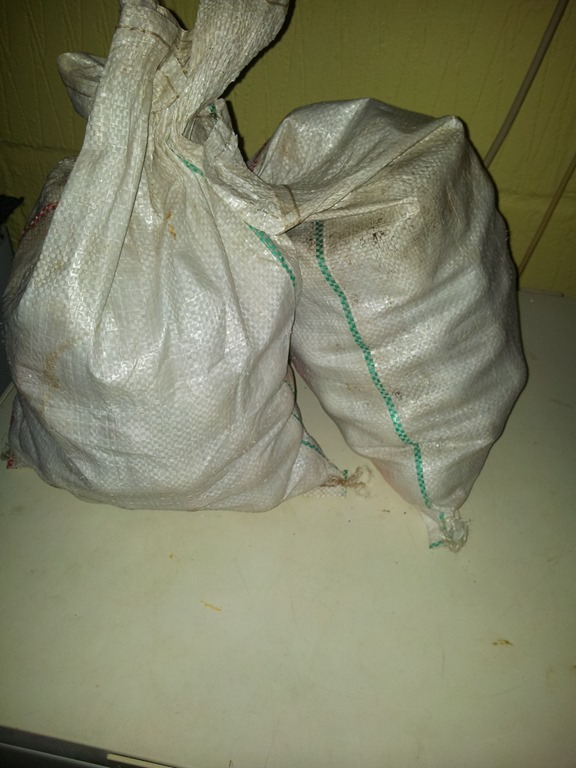 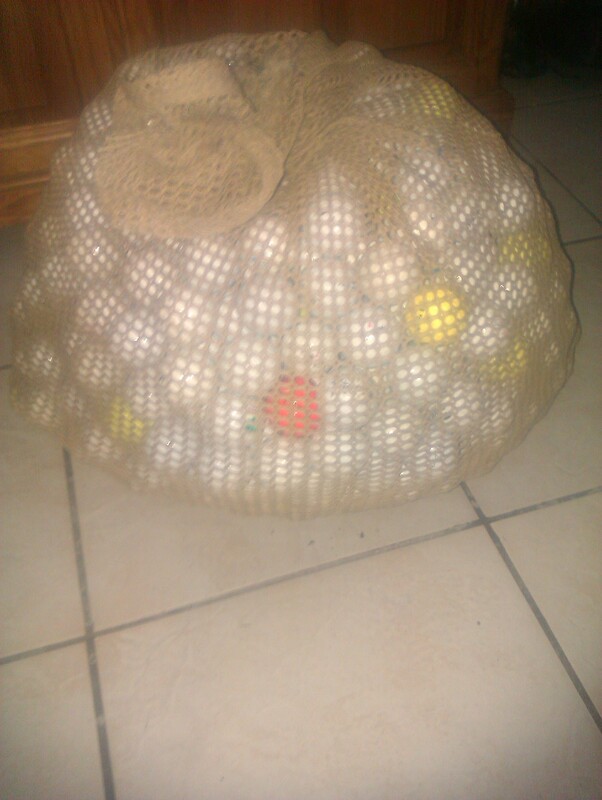 Today we had 2 bags which i am struggling to get in the nets as they are now full and have been sold to a golf outlet, but i have to organise some heavy duty boxes or crates so the courier man can collect them. 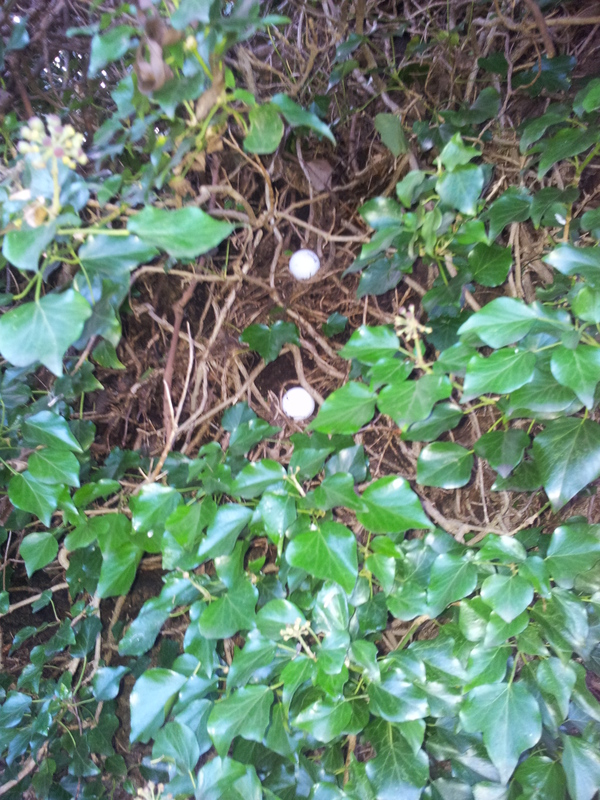 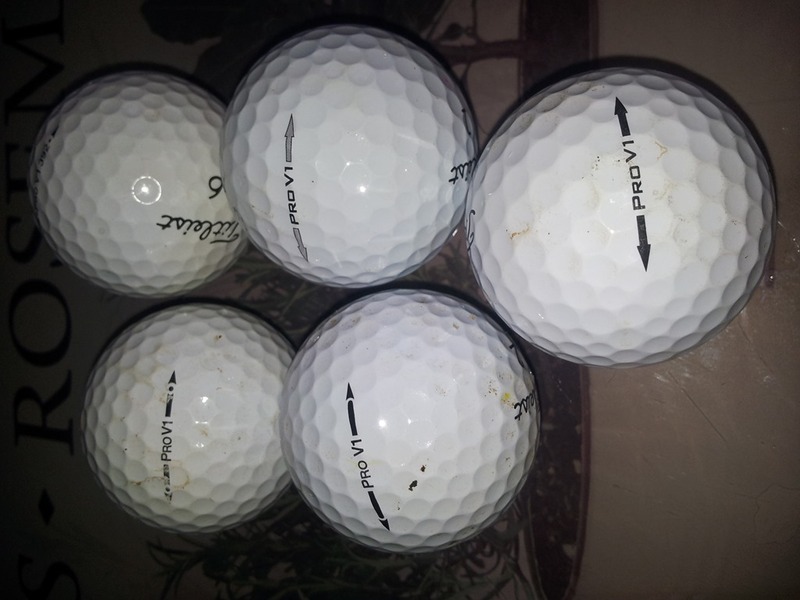 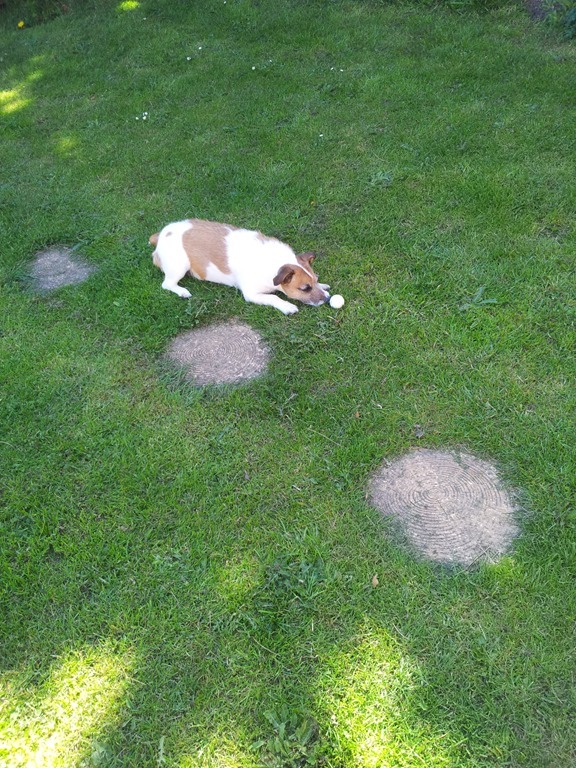 The golf balls come out of them hedges faster than tilly could get in there, we had quite a few colour and white’s along with some very nice logo’s that found there way in those hedges, here is the item that has made life easy for me and gives tilly more time to concentrate on bugs bunny. 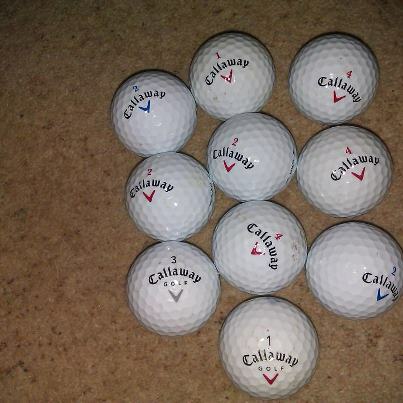 My mate Daz is calling tomorrow to pick these up, a great selection of numerous brands. 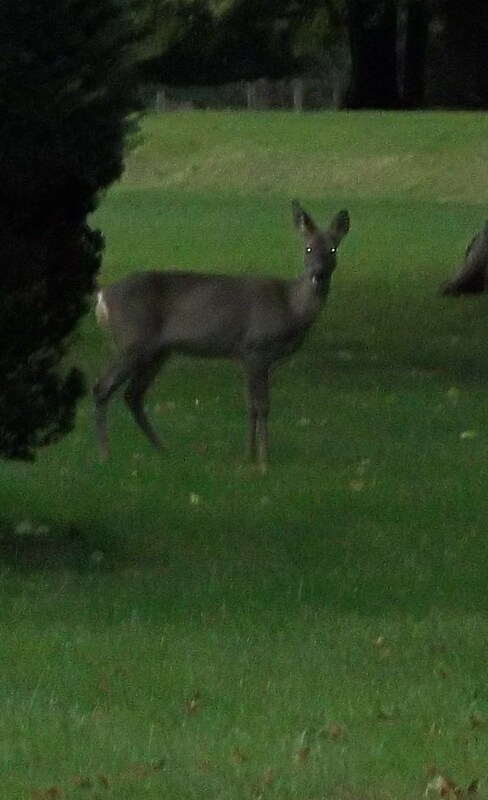 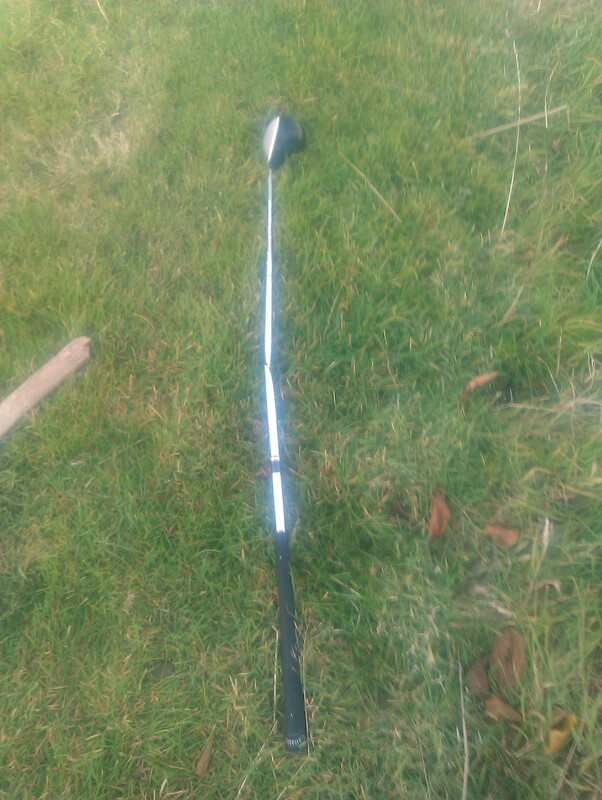 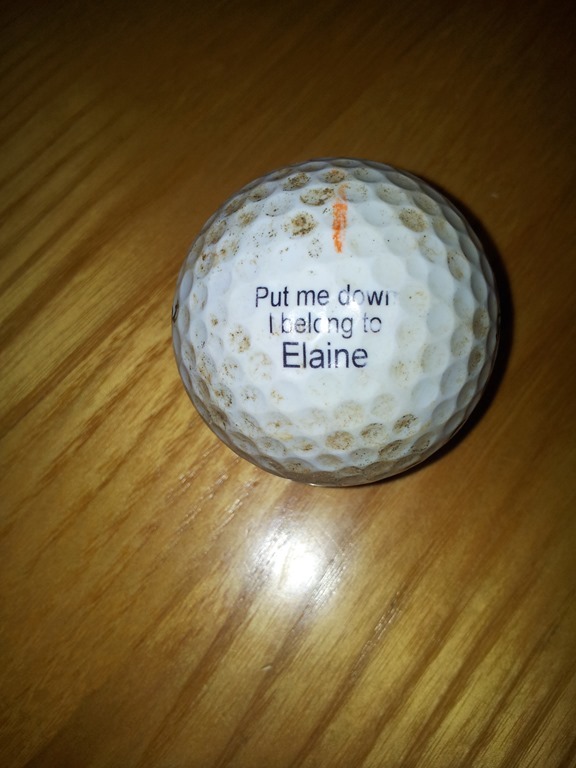 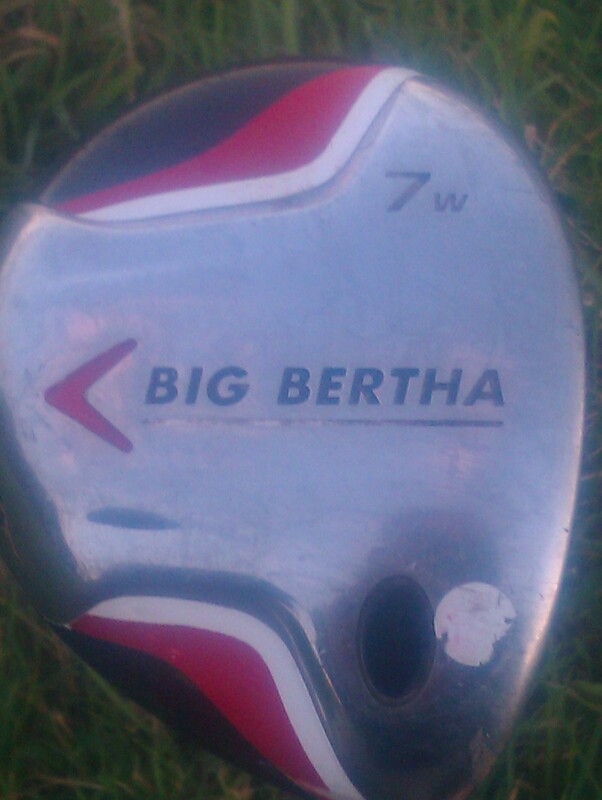 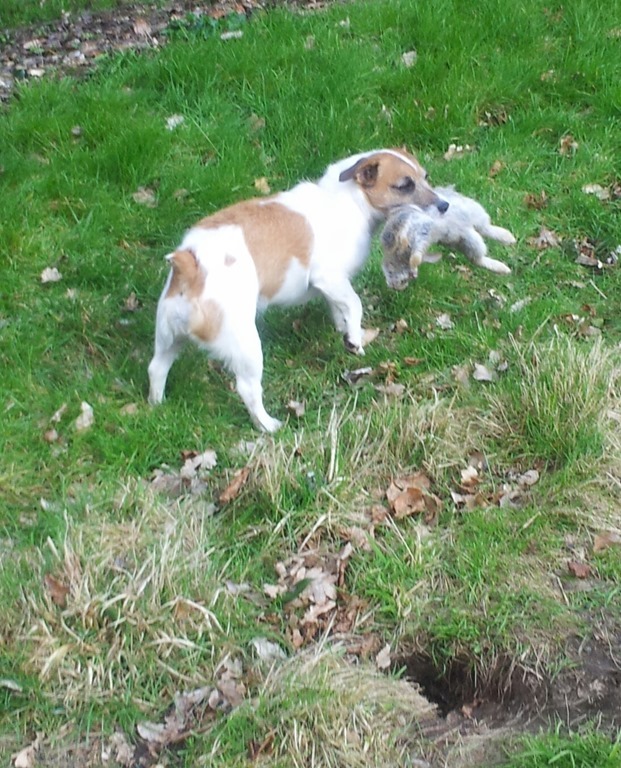 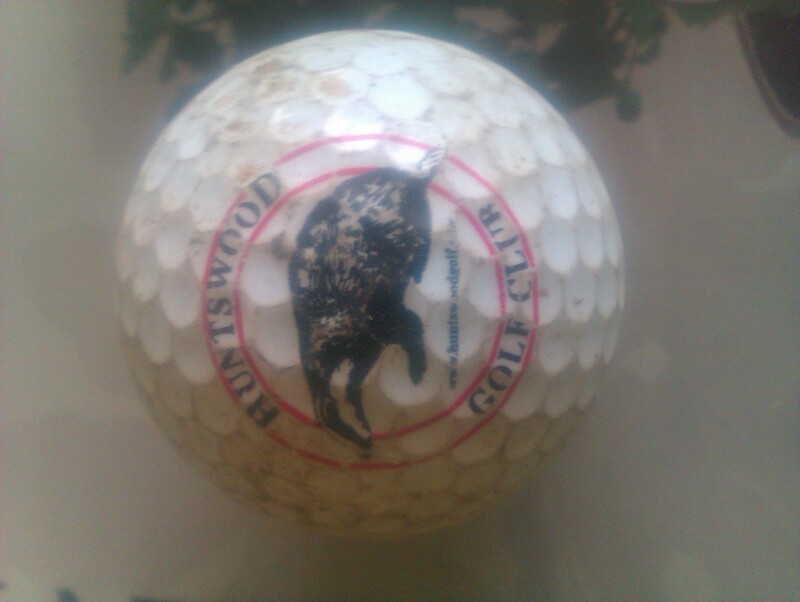 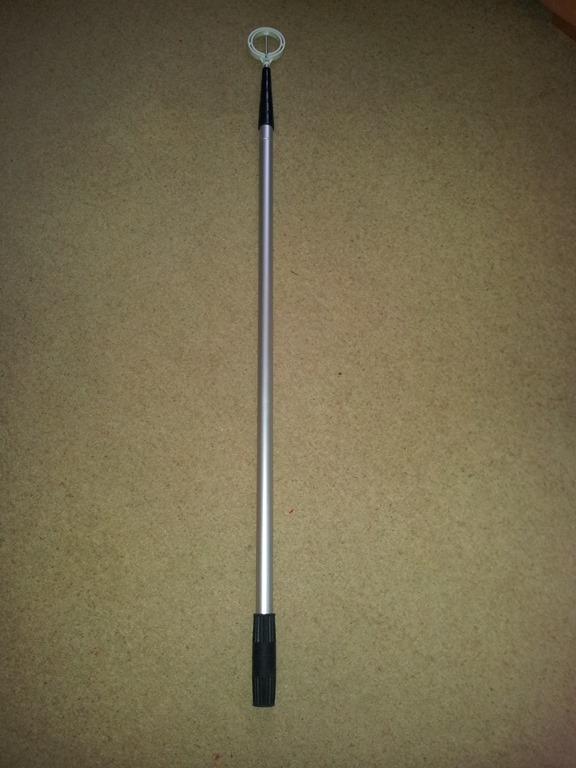 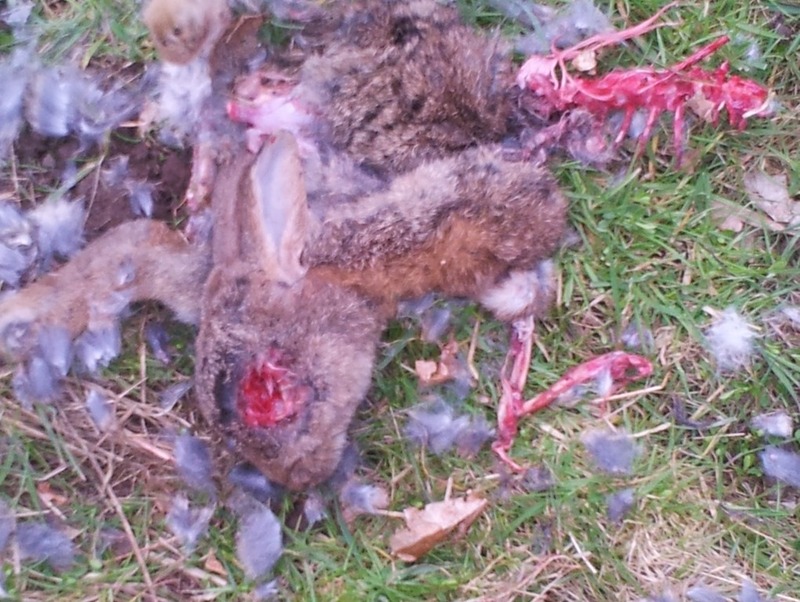 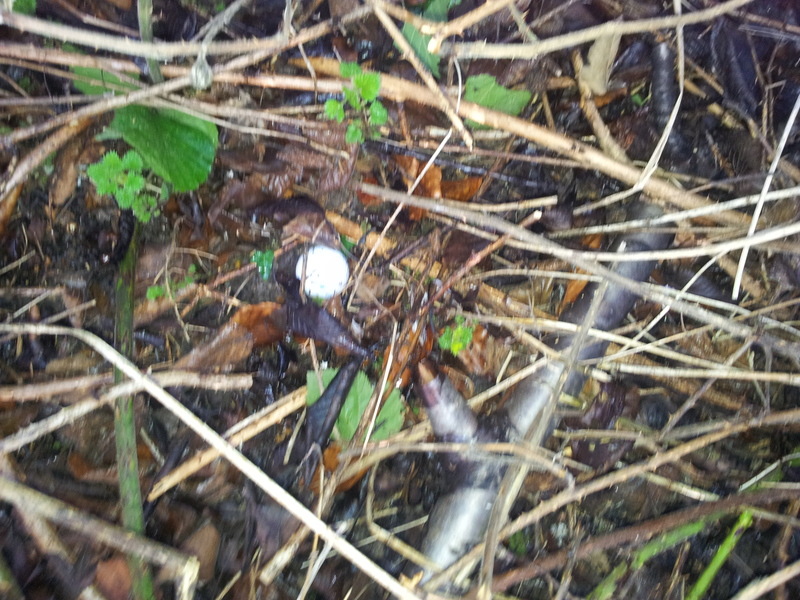 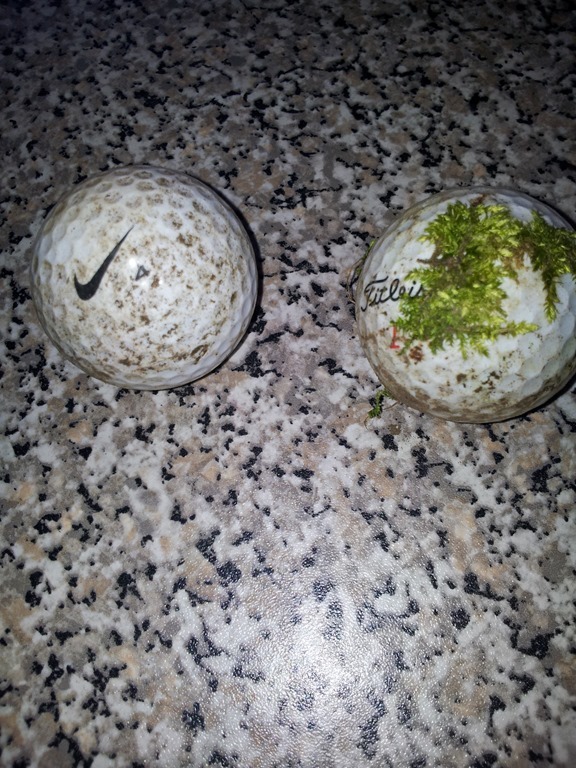 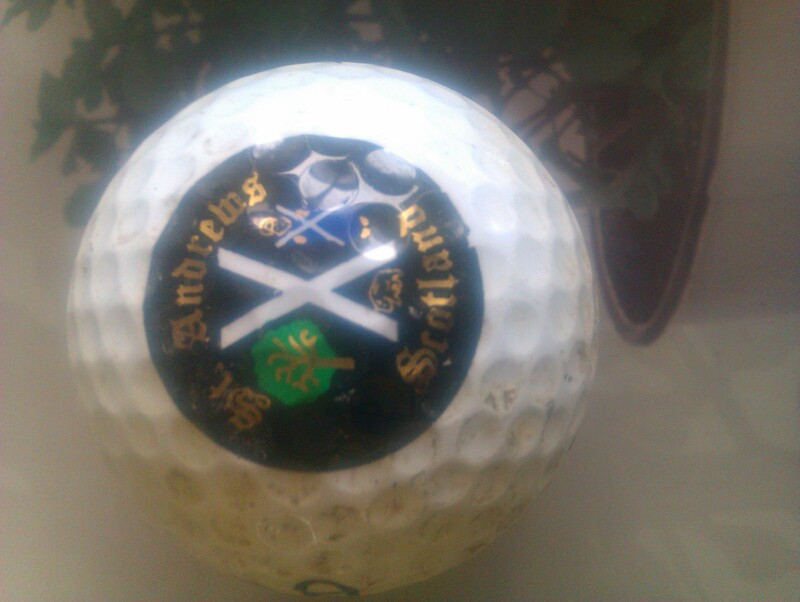 What have we seen and found in the woods & golf course this week. 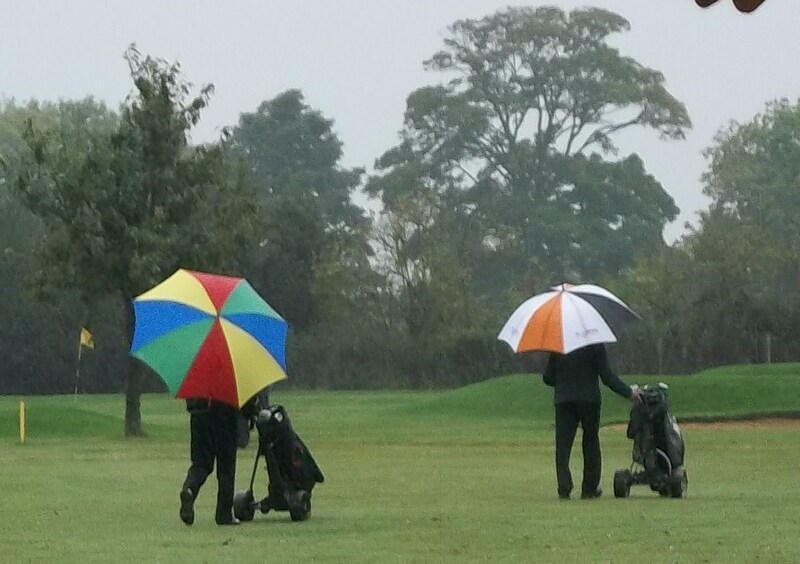 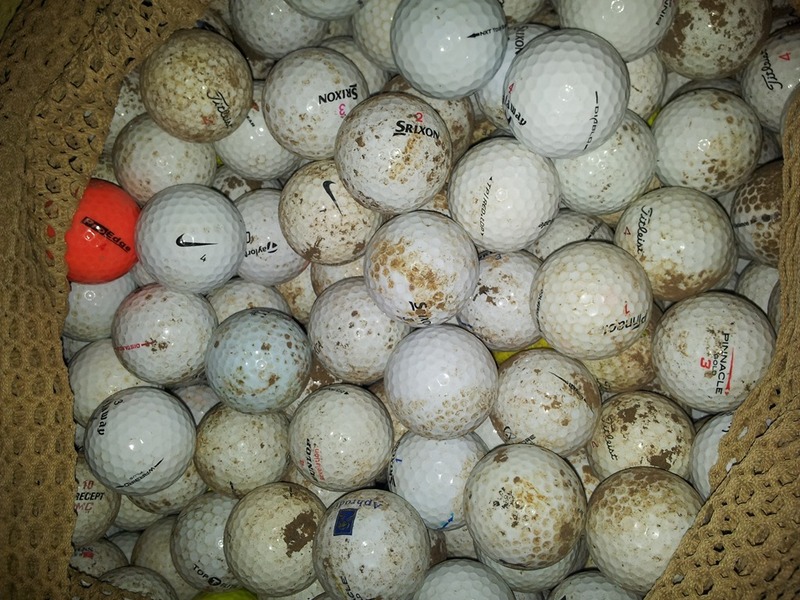 Apart from bucket loads of rain earlier this week things have been fantastic with a huge return of golf balls especially from the leaves close to the hedgerows, you cannot imagine what is laying underground, but we took the opportunity to have a good look on a short stretch and used a rake to move the leaf-mold away from the fence areas and hey bingo,we hit the jackpot i was most surprised at the condition of the golf balls which had probably been there for months,there was no damage and they looked in perfect condition considering the elements they have endured. 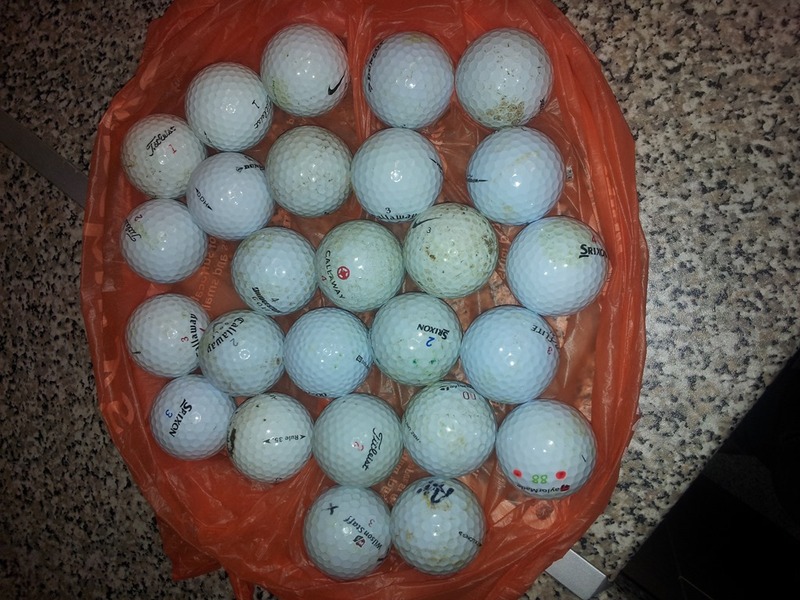 600 golf balls, sheer hardwork with an eye for detail and long walking sessions have brought such good returns for our efforts, and i am sure my mate Daz will be planning another trip south when he reads this. 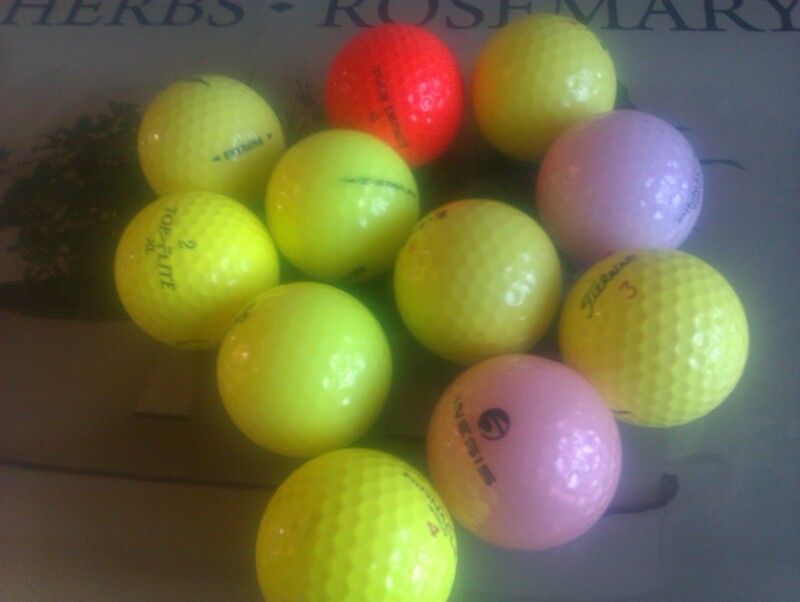 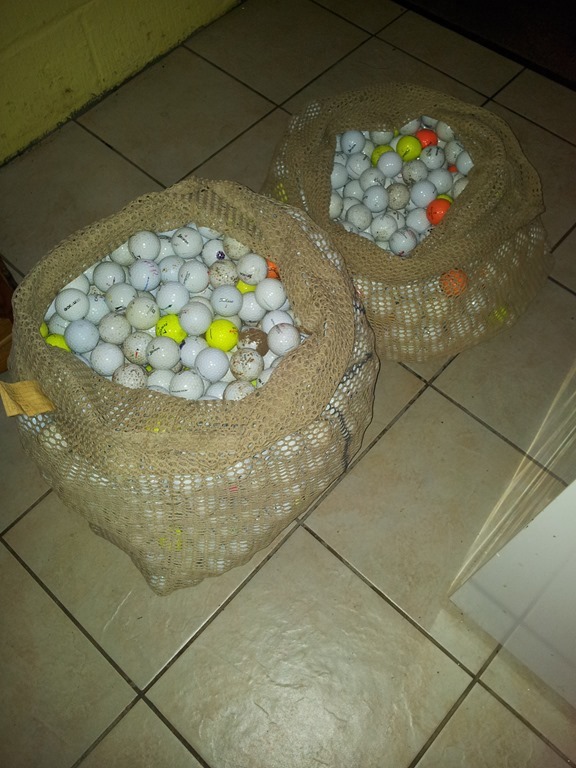 Great morning collecting more Golf Balls. 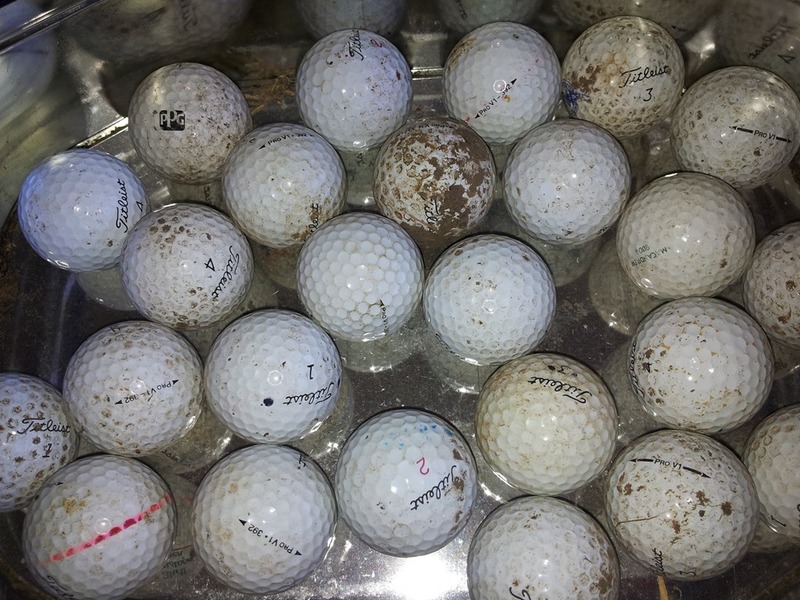 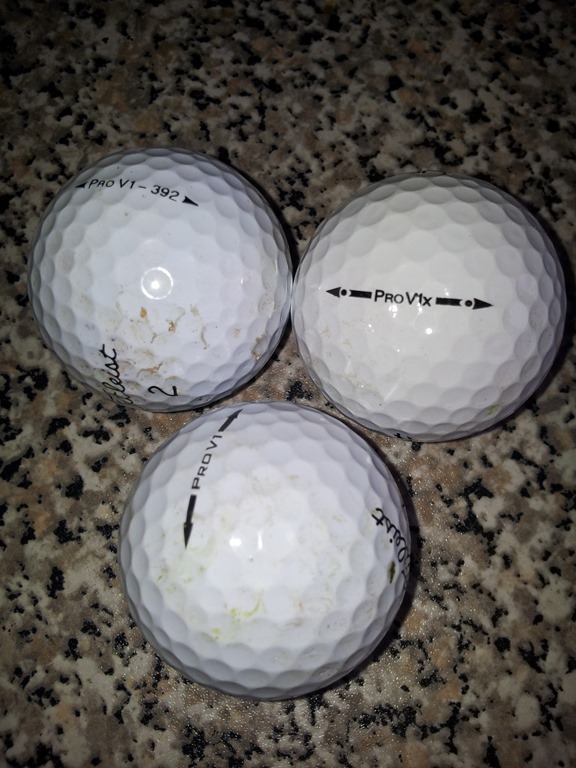 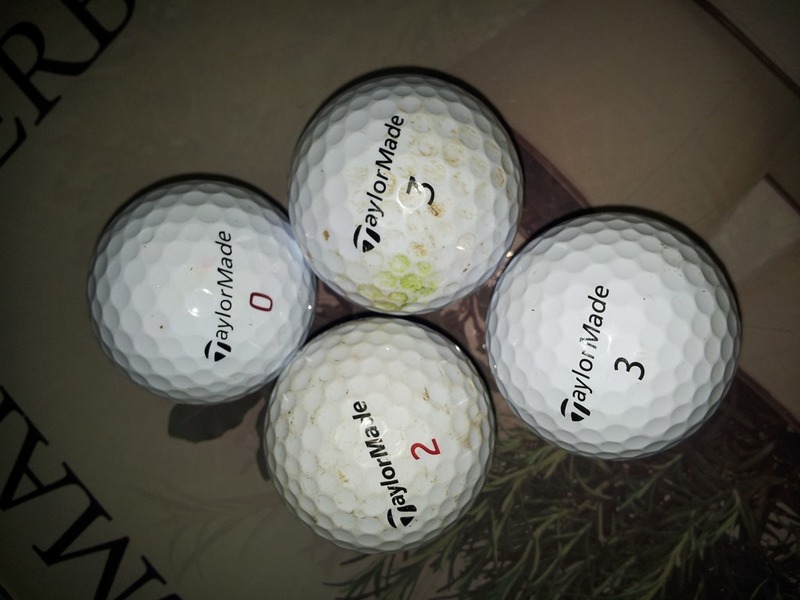 What a morning for ball collecting, the golf balls just keep coming wherever we look, I was not expecting to find more than a few,but our tally in the woods returned 47 lovely golf balls, most of these are brand spanking new. 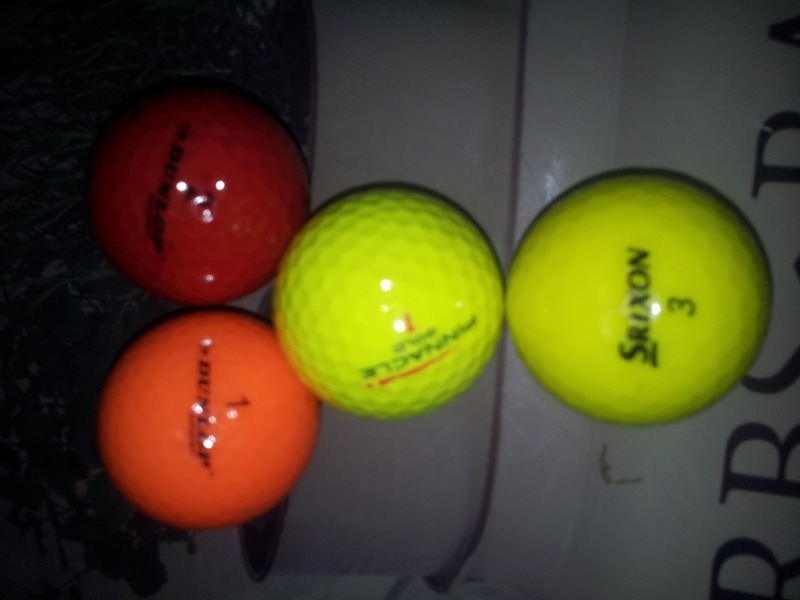 Look at these colours that have been cleaned and posted to a client in London for just 99p plus postage,would you be happy with them? 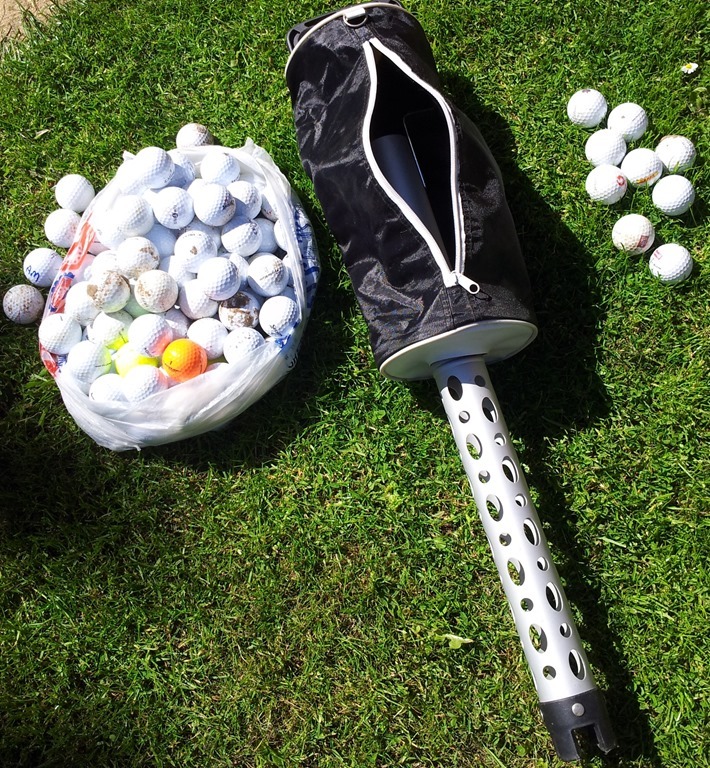 Just a selection of what we have available, if you want quality at low prices, get in touch !